Maybe you are interested in a Scorpio guy, or it is just that the bug has bitten you to know what it would be like with a girl of this sign. Then you have come to the right place because this article will give you a good description of people with the Scorpio zodiac sign. To begin we must know the general information to recognize this sign. 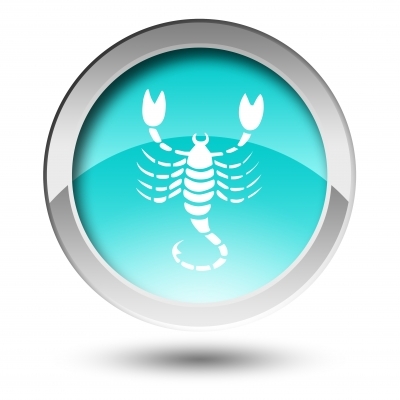 All persons born between October 24 and November 22 belong to the Scorpio sign. People of this sign, they feel great affinity for the chance to lead a life on the edge. They are suspicious, enigmatic, with great courage and mental strength. This sign is known for taking action, seeking to understand interesting aspects of life and will not rest until they find the truth and meaning of things. They do not get carried away by appearances and are very reluctant to be persuaded. They grow and create their own concepts about those around them. They have no fear of facing adversity and they see challenges as an opportunity to overcome themselves. This sign is hard, restless and combative. No qualms in hurting others or being hurt, they do not care to provoke an opponent. They are those who accept commands, but rather prefer to take command and lead those around at will. The love for their family is most important to them, but also tend to want to dominate. With their partner it will be the same, they will look for a woman who is completely devoted to their relationship. A Scorpio man feels free and does not accept to leave what he likes to please another person. He likes to control the situation and when in trust with others, will not easily assimilate a recommendation, even if they are forbidden to do something. They like to carry the rebel bad boy without rules label. They will never admit that they feel hurt or that they are missing love, you will have accomplished a lot if you can sensitize him until he reveals his true feelings to you. Since they are not able to admit their weaknesses they usually keep their frustrations. They do not like to express their emotions and never let anyone know when something hurts them. The Scorpio man is not satisfied with uncertainties, he is a person who likes things well defined without compromise. He is a very suspicious person and even becomes dominant to the point of asking many explanations to you when he feels insecure, but otherwise they will compensate that by being very faithful. Do not try to deceive him, much less provoke his anger, because Scorpio men are to be afraid of when they lose their patience. The Scorpio guy is thorough but in compensation usually gives very good remunerations. To summarize its favorable aspects: Liberal, creative, strong, vigorous, shrewd, intuitive and calculating. Unfavorable aspects: Selfish, uncompromising, arrogant, spiteful and suspicious. We are confident that this disclosure will be very useful for you to have a better picture about the Scorpio guy you like. Remember that the traits of a zodiac sign are very general since the environment and experiences make each person unique and particular.